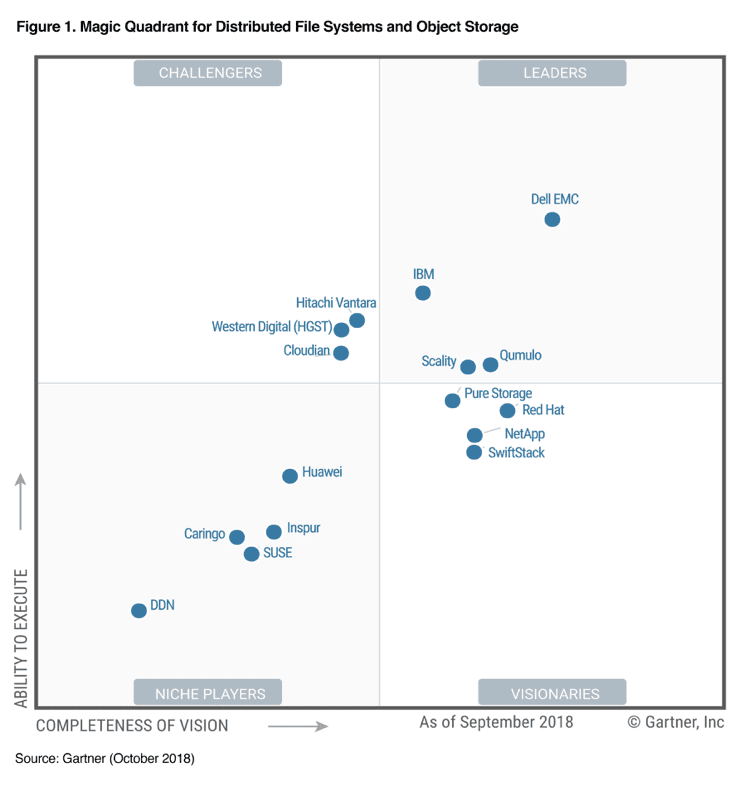 Qumulo named a Leader in Gartner 2018 Magic Quadrant. This graphic was published by Gartner, Inc. as part of a larger research document and should be evaluated in the context of the entire document. The Gartner document is available upon request from Qumulo.